When it comes to their electrical systems, Central Connecticut homeowners can’t afford to take chances. Beyond providing light and heat, your electrical system needs to conform to certain safety parameters, which can be compromised if something goes wrong. A trained electrician can make repairs, but you need to report any electrical problems ASAP. Contact Electrical Connection, Inc. immediately to do so. In most cases, an electrical problem is readily detectible in your household. The circuit breakers will trip, cutting off power to that section of the house and alerting you to the problem. In some cases, you can simply turn the power back on, but in others, the breaker will keep tripping or the issue will cause problems in some other way. Going without power isn’t an acceptable solution in this day and age. Besides the lights and appliances that your household needs to function, a loss of power could cut you off from television and the internet, which are indispensable means of staying in touch with the outside world. The longer you go without dealing with the issue, but more detached your household will become. Furthermore, a problem with the electricity could constitute a safety hazard as well. Sparks from frayed wires could start a fire, while power issues for unstable electrical connections could damage computers, appliances and even family members. That constitutes a potential financial as well as a safety risk, since further damage to your electrical system could result in costly repair bills. That’s why you need to report any electrical problems in Central Connecticut ASAP. The moment you detect an electrical problem in your home – anything that can’t be resolved by resetting the circuit breakers one time – shut off the power can contact an electrician. The good news is that reliable electrical repairs are never more than a phone call away. 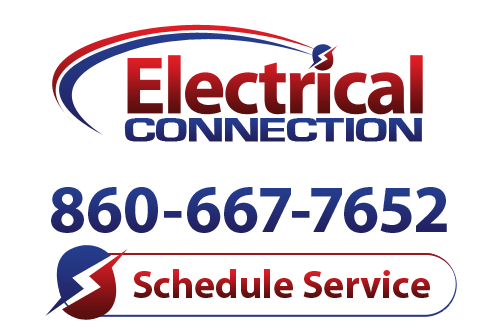 Electrical Connection, Inc. can hunt down any significant problem you may have, then replace or repair the faulty component in a way that leaves both your house and your electrical system safe and secure. Pick up the phone and give us a call today.